If there’s a hotter neighborhood for development in D.C. than Union Market, we’re hard pressed to name it. Nov. 2 was a big day for the neighborhood, as two developers pitched a pair of projects that will bring more than 1,300 residential units, a hotel, office and gobs of new retail to parcels north and south of Florida Avenue Northeast. McLeanbased Kettler Inc. submitted plans with the Zoning Commission to redevelop a nearly 5acre site south of New York Avenue, north of Fourth Street and on either side of Morse Street NE. 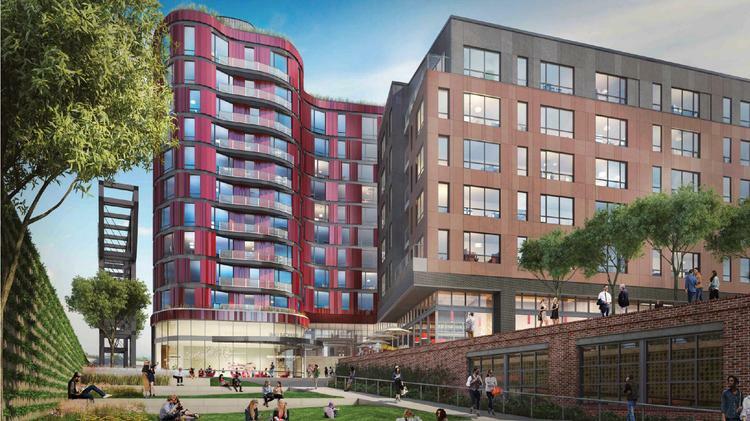 Located less than two blocks west of Union Market, the Kettler project will feature four new buildings totaling up to 975 multifamily units, 67,215 square feet of ground floor retail and two Office towers totaling 303,395 square feet. FoulgerPratt Development LLC, with partners Juster Properties and Clear Rock Properties, followed Kettler with its proposal to redevelop 301331 N St. NE, south of Florida Avenue NE in NoMa, with 370 residential units, 175 hotel rooms, office space and ground-floor retail. The two sites are less than a quarter mile from each other. The site includes multiple warehouse properties, only one of which is owned by Kettler. 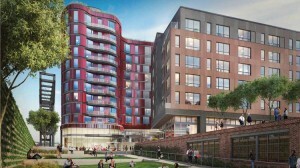 Douglas Development, owner of 350 Morse St. NE, and the multiple owners of 300 Morse have all authorized Kettler to advance its development plan. Douglas acquired 350 Morse in June 2013 for $14.5 million. Kettler’s Market Terminal, per the application, will include two new public parks. The first, at the southwest corner of the property, will feature a community gathering area with terraced public gardens, park space, a water feature, and a retail anchored pedestrian plaza linking Market Terminal with the burgeoning Union Market neighborhood. The second public park, part of the project’s second phase, will provide a passive green space to the north of the property, and will act as a buffer between Market Terminal and New York Avenue. will apply to designate the building as a landmark and repurpose it as ground floor retail and two floors of office. The overall project will consist of four buildings, including the self-storage facility. The easternmost building, at 331 N St. NE, will be an 11 story, U-shaped residential tower with 275 units and ground floor retail. At the southwest corner of the site, FoulgerPratt proposes an 11story, 175key hotel. And fronting N Street will be a 94unit residential building with additional retail. “The Project will create a truly transit oriented urban mixed-used community that will add new housing, retail, offices, and a hotel to an exciting and transforming neighborhood,” the application states.